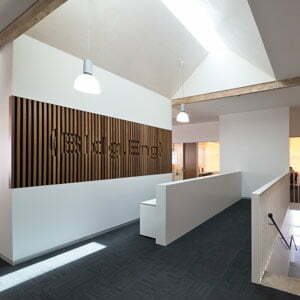 Workshop Architecture and the client (a construction company) have a long history of collaboration on successful projects. 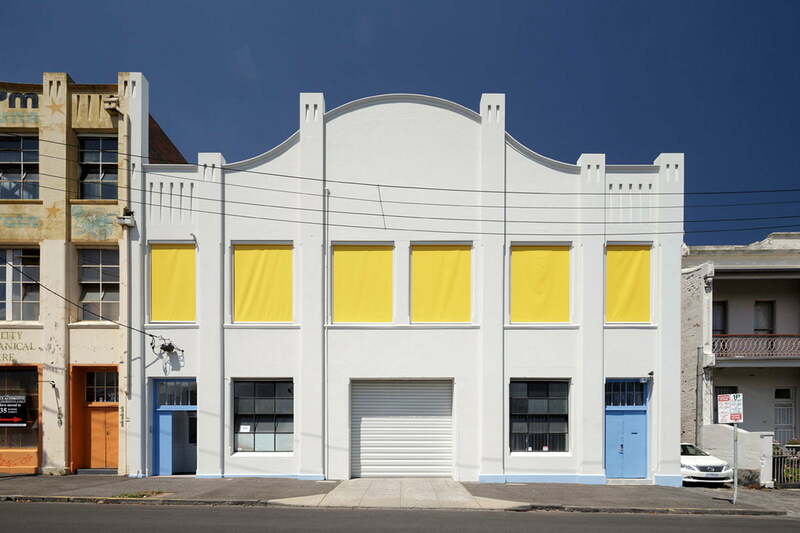 In 2013 Building Engineering acquired a warehouse in West Melbourne that was formerly a car workshop and clothing manufacturing space. 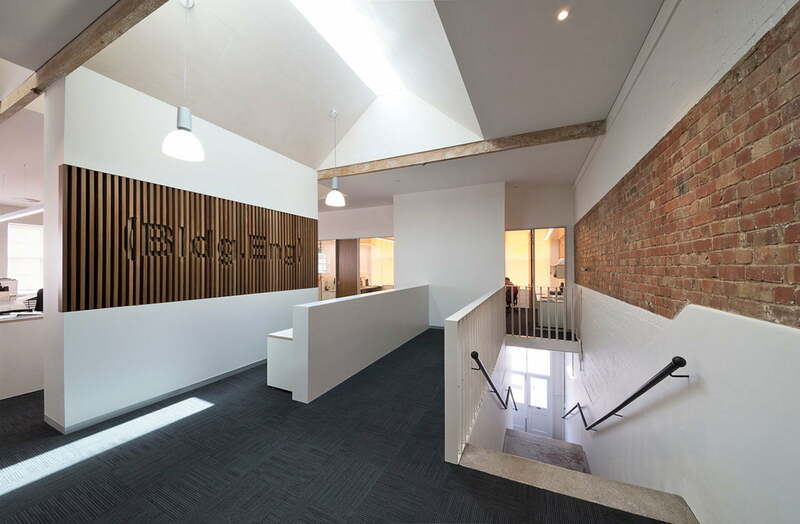 The ground level of the two storey building was to be retained as a simple garage and storage space and the upper level was to be converted to an office for 50 staff. 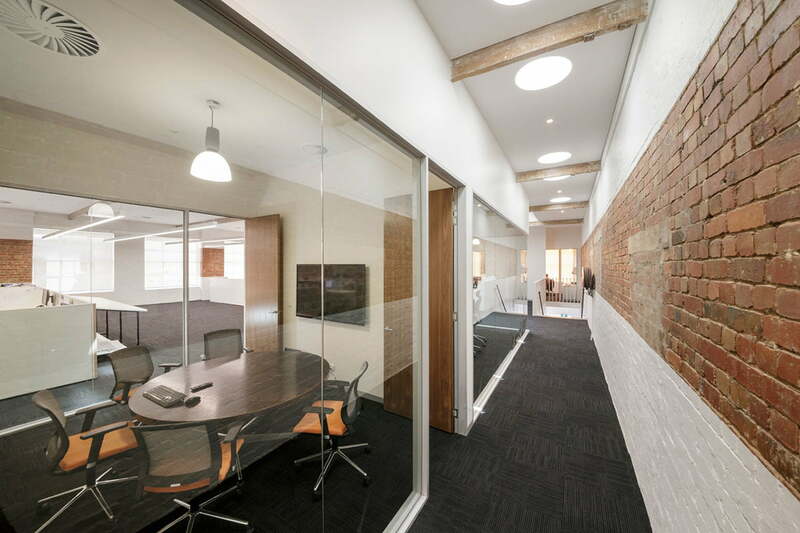 The brief was for an office that was filled with light, contemporary and professional, whilst retaining a sense of the history of the 1920s building. 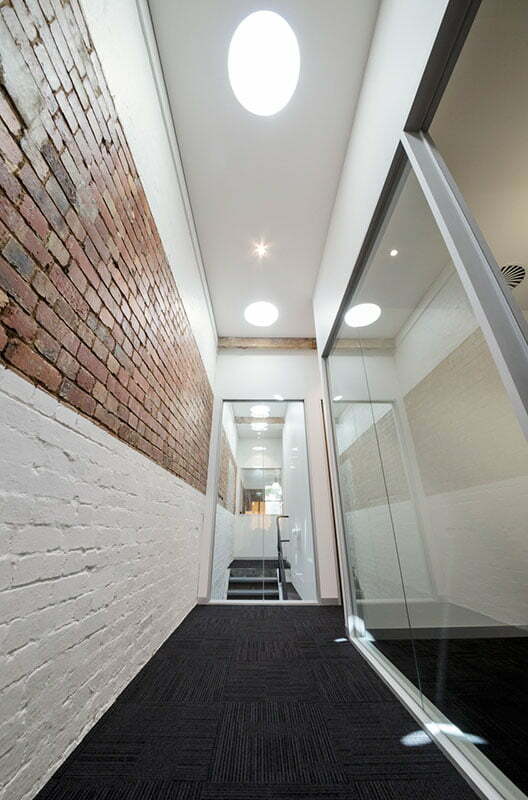 Using a basic palette of light and dark materials, with timber veneer on doors and slatted timber in the reception area, we carefully revealed portions of the original brick and timber work as a graphic feature to give weight to the remodelled space. 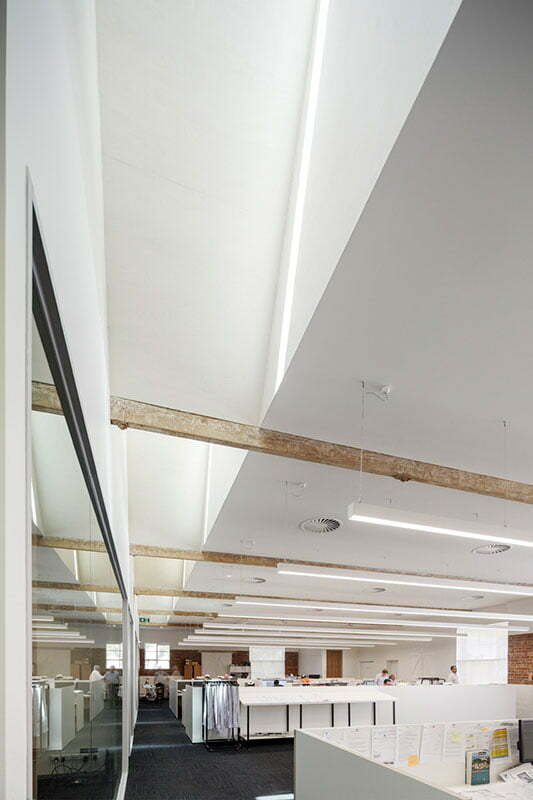 We introduced dramatic light shafts with a bleached timber lining to bring light into the depth of the space and a sense of theatre to the reception area. 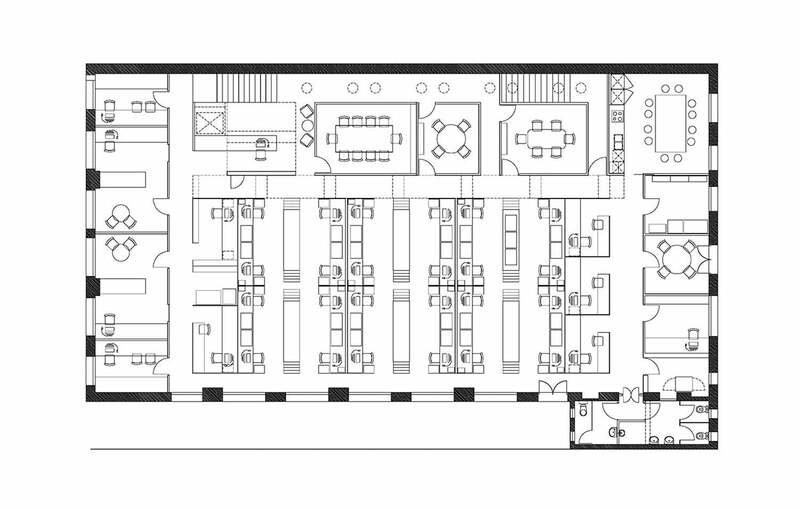 The space is arranged to have offices to the north facing the street, meeting rooms and reception to the east lit by skylights and the main workstation area facing laneways to the west and south. 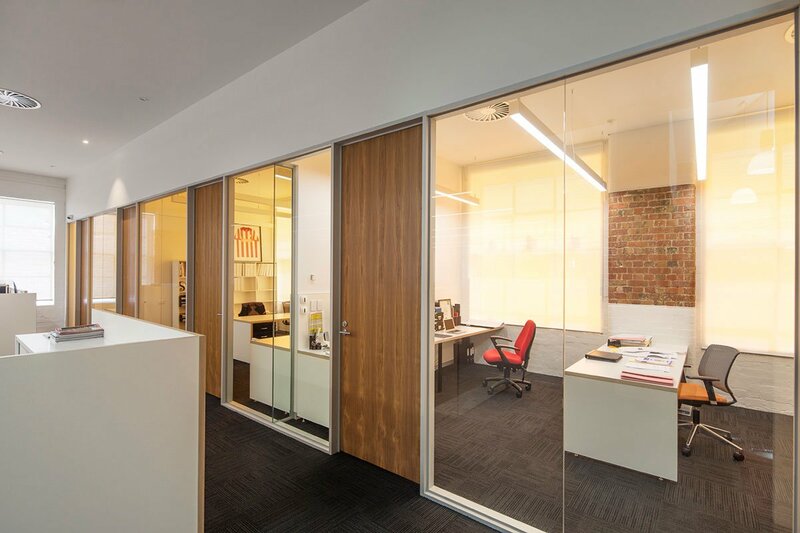 The office has an abundance of natural light and ventilation on three sides and can be shaded from direct sun penetration when required on the north side with bright yellow external blinds. 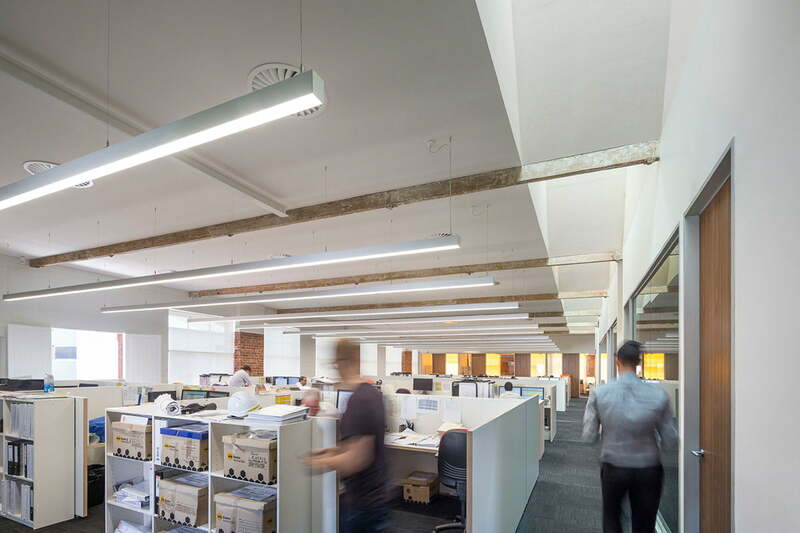 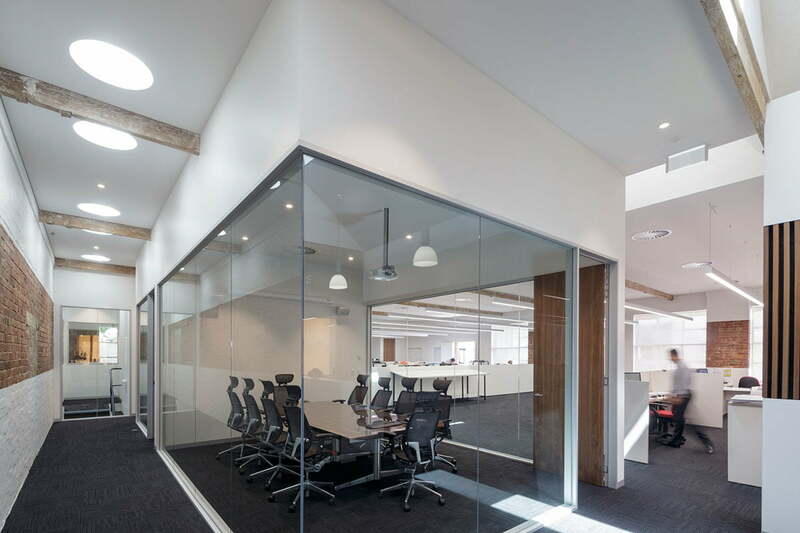 With studied acoustic treatment and separation, the office works quietly and efficiently, and both management and staff are delighted with the outcome.